Selecting the best eCommerce hosting can always be confusing. There are two kinds of hosting solutions – hosted and self-hosted solutions. 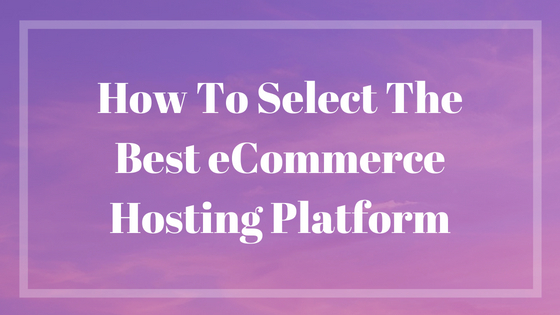 So, let’s see some of the things you have to consider while selecting the best eCommerce hosting platform. You will get your store launched immediately when you sign up for a hosted eCommerce solution. The best example for a hosted solution is MagePlus. So it will give you installed and configured Magento store in just one day. Also with MagePlus, you don’t have to worry about the technical details as our techs will configure the site for you. Get the best cloud hosting for your eCommerce store. Self- hosted eCommerce solutions like Magento have to be downloaded and installed to your choice of hosting. Your choice of hosting will determine the future of your eCommerce store. If you are planning to start a Magento store, then the best hosting option will be Aspiration Hosting. We provide optimized hosting for Magento. SSD drives – SSD drives are 20 times faster than SATA drives and 3-4 times faster than HDD. Therefore you will get fast hosting for your websites. 24/7 support so that you will get immediate help if something went wrong. We also have servers around the world, which will help the websites to load faster with the customers. The final decision of choosing the hosting for your eCommerce store will depend on your business goals and objectives. So, whether you are looking for hosted or self-hosted eCommerce platforms, Aspiration Hosting has solutions for you. Now you can start hosted Magento eCommerce store with just $1.